Asset bubbles are notoriously difficult to identify as they are happening. Often times, they only become clear in hindsight. Having said that, Goldman Sachs’ David Kostin offers an interesting stock market chart in his team’s new US Quarterly Chartbook. 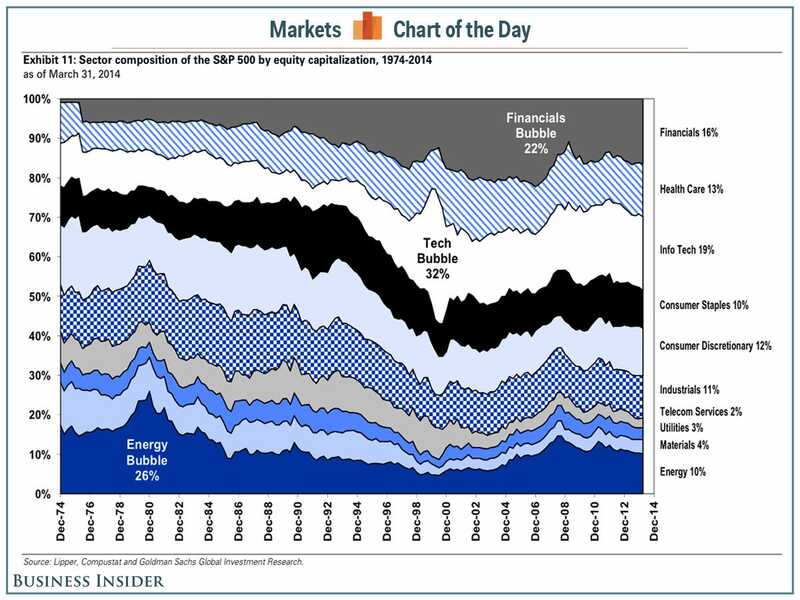 It shows the sector composition of the S&P 500 by market cap since 1974.